Grammarly helps you to improve writing skills with a various product which we will discuss in detail one by one. Grammarly is available on almost all popular browser platforms like Google Chrome, Mozilla Firefox, and Opera. When you install Grammarly extension into your browser a small logo will appear in the bottom right corner of the text area where Grammarly works. If you see a logo, it means your writing is protected. Whenever you see a red underlined word, simply hover your mouse over it to see the correction. Similarly, it works on Facebook, Twitter, Gmail, Linkedin and millions of other sites. Grammarly has its own cloud base text editor that allows you to create, edit and save word document online on their server. 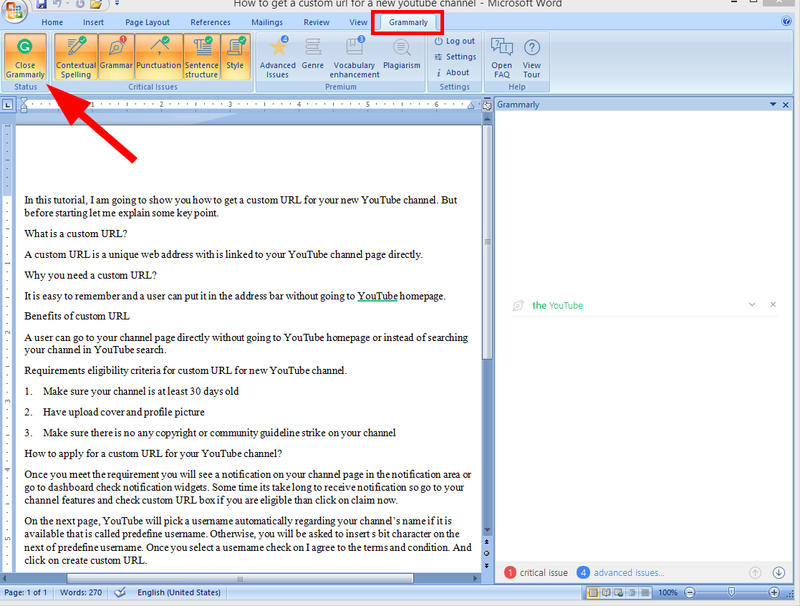 You can also upload MS Word Document in it. 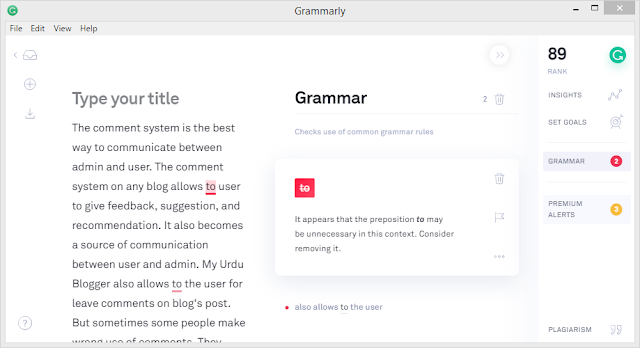 Grammarly also provides a desktop native app for Windows and Mac OS system. 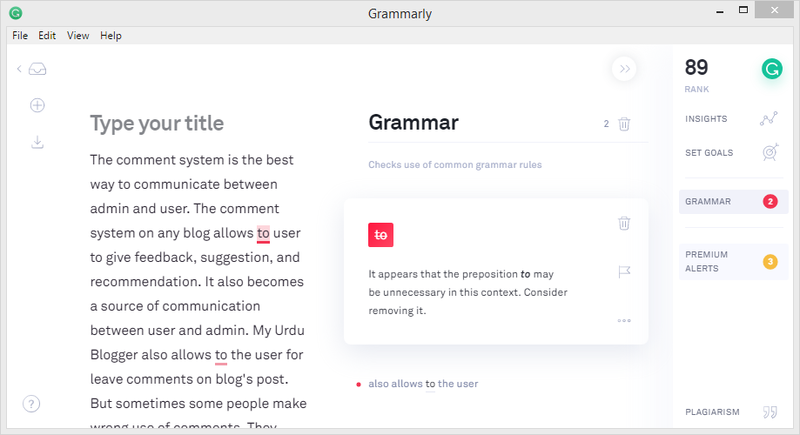 Grammarly’s native app will be right at home on your desktop. Access your documents or start a new project with one simple click. It connects and loads your document from your online cloud editor when you log in with Grammarly account in it. One of the best tools by Grammarly that I love very much is Grammarly for Microsoft® Office. When you install this application on your computer it automatically an addon in your MS Word. Ms word has its own grammar and spelling checker but Grammarly makes more accurate your document. I try my best to explain everything honestly. 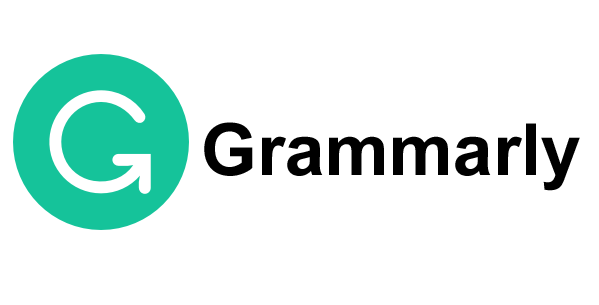 Grammarly is the best tool for Blogger, writers, and student. You can Purchase any premium plan if you want to clear all mistakes in your document. You can cancel your plan at any time and continue to your free Plan. Thank You please inform me for your feedback regarding this post in the comment section below.